The League of Conservation Voters has given out its annual environmental scorecard, and New York House members scored fairly well, with an average of 88 percent. The national average, according to the LCV’s website, was 57 percent. But of all New York House members, Gary Ackerman scored amongst the lowest: 60 percent, just three points higher than the national average. 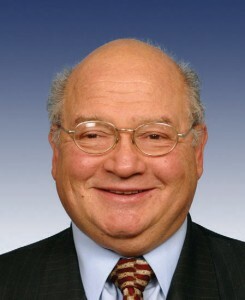 Along with Bill Owens, Ackerman was the lowest scoring New York Democrat in the House of Representatives. 17 other New York House members scored 100 percent, as did the state’s senators, Chuck Schumer and Kirsten Gillibrand. But unlike Owens, Ackerman never voted for what the LCV would call an “anti-environment action.” Owens voted negatively on four separate occasions. According to LCV representative Kate Geller, the League doesn’t count good intentions. But with that criteria comes the question of how effective a measurement the scorecard actually is. A congressmen could be absent for any number of reasons–illness, personal issues–that would have no effect on how they feel about a particular cause. Conversely, a vote of “no” is just that. So can this score be considered a reasonable assessment of Ackerman’s friendliness toward the environment? Even by the LCV’s own reckoning Ackerman hasn’t had a history of environmentally irresponsible actions–since 1999 the congressman hasn’t scored below an 80 on their exams–and he’s right when he says all of the votes he was present for were in support of LCV causes. The score probably says less about Ackerman’s position on environmental issues, and more on the poor methodology of the LCV’s scorecard. Michael Grimm spent this past Saturday in his Brooklyn district office fielding constituent calls during his open office hours. Meanwhile, on the other side of the Verrazano Bridge, the Staten Island Tea Party held a Town Hall meeting at The Renaissance, an upscale catering hall. Earlier in the week, the two forces finally clashed publicly. Grimm, a Republican, earned Tea Party support in his three-point victory over his democratic opponent, Michael McMahon, as a solution to insolvency. 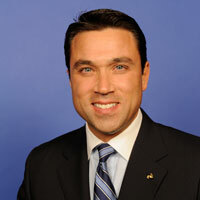 Yet in his first seven weeks as a congressman, Grimm has publicly opposed spending cuts on a few occasions. And that has the Tea Party on Staten Island boiling. Last week, Grimm co-signed a letter with Rep. Peter King of Long Island, asking House Speaker John Bohener to restore $750 million in federal aid for security and transportation grants to a Republican proposal that would fund the government for the rest of 2011. Later that night, Frank Santarpia, a lead organizer for the Staten Island Tea Party, posted a letter that he sent to Grimm on the organization’s blog. In particular, Santarpia said he respected Grimm’s rights to restore funding, but took issue with his alleged failure to propose alternative cuts. Not so, said Grimm. In response to an inquiry from the Staten Island Advance, Grimm said he did offer matching cuts (but he did not specify) and resented that Santarpia, who frequently calls and writes, did not reach out before posting the letter. “If Frank had some concerns, why didn’t he call me?” he told the Advance. The $750 million in cuts were part of a package unveiled earlier this month by the chairman of the House Appropriations Committee, Hal Rogers (R-Ky.), which included $100 billion in spending cuts. But the package, which must pass a Democratic majority in the Senate, failed the smell test of both Senate Majority Leader Harry Reid and Senate Appropriations Chairman Daniel Inouye (D-Hawaii). And the Tea Party has literally sent Grimm a message that when it comes to the budget, they will not budge. Ten days after the dates of the letters, Grimm appeared on Fox News, once again calling for cuts. Fashion Week is over, and so now I can focus on J-School. Half the week I produce and edit videos for websites and iPad apps for ladies magazines and so Fashion Week is a busy time. However, as I return my focus to politics, I am struck the importance of the superficial for female politicians. In other words, to succeed in the political sphere, and woman must be savvy and also attractive. The fem-politicians who use their looks to their advantage (obviously) include Sarah Palin and Michele Bachmann. And though she isn’t an elected official, many sites keep a close eye on the style decisions of the fine First Lady, Michelle Obama. 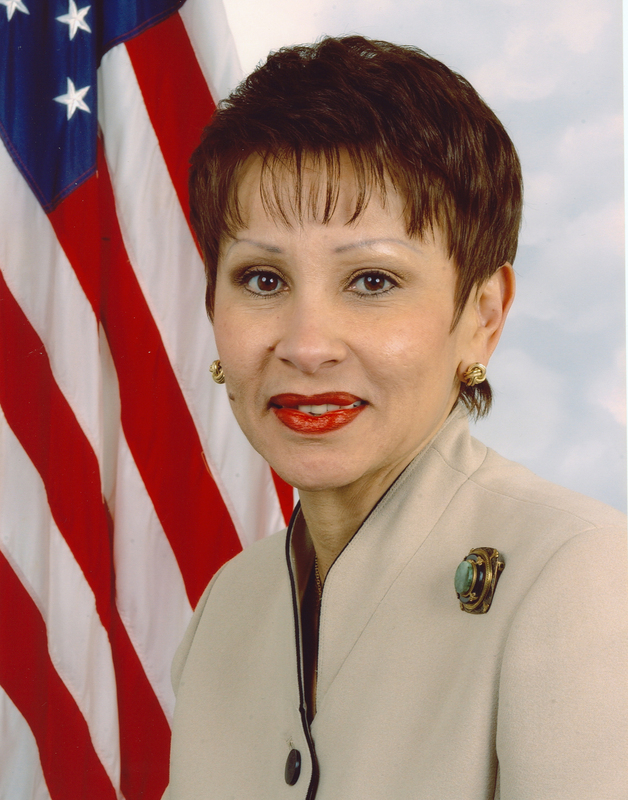 Somehow, though, for Nydia Velazquez – who had been the ranking Senior Member of the House Small Business Committee, and still heads the Hispanic Caucus – being powerful and good looking doesn’t land her national attention in the same way. I have a few theories on why this is the case. Disclaimer: none of my theories are fair or nice. Just as in fashion. One, she is too old. Michelle Obama and Sarah Palin are 47. They both dress in hip and body skimming attire, which makes them look younger. Nydia is 57 and wears age appropriate, if not a bit too old, clothing. Two, she is too ethnic. Nydia Velazquez to Bank CEOs from Margaret Teich on Vimeo. In this video, one can see just how a) sassy Nydia is, and b) how difficult to understand she can be. I recently spoke with NY Assemblyman Joe Lentol, who represents some of the same neighborhoods in Brooklyn as Congresswoman Velazquez, and he remembers meeting her in the early ’80s when her accent was much thicker. He says that her English has improved leaps and bounds since then, but regardless of the improvement her ability to articulate her point has never been a problem. But in NYC, and accent and sassy manner aren’t uncommon. On a national level, perhaps it’s a different case. Three, she can’t be mainstreamed. In this Elle magazine profile of the 10 Most Powerful women in DC, one sees that all of the women are either white, or in some way made to look more white. Nydia doesn’t fall into the category, and frankly, doesn’t seem to care how she is perceived. Again, her constituents are diverse and are therefore used to an ethnic politician. Perhaps Nydia doesn’t want the national acclaim. Or, maybe the nation isn’t ready to acclaim a woman like her. Michael Grimm wants to prove that the pen is mightier than the Whip count–the number of Congressmen expected to vote on any given bill. The freshman congressman representing Staten Island and Brooklyn declared in a letter to the House Majority Leader, Eric Cantor of Virginia, that he would vote “no” on a resolution to fund government operations for the next seven months if it reduced military aid to Israel. The bill released by the House Appropriations Committee on Friday cuts $40 billion in domestic spending and foreign aid. The Paul plan would eliminate the annual $3 billion aid package to Israel, which receives the second largest share of U.S. foreign aid. Grimm’s stance puts him at odds with the Tea Party heavyweight, Senator Rand Paul of Kentucky, who wants to eliminate foreign aid altogether. 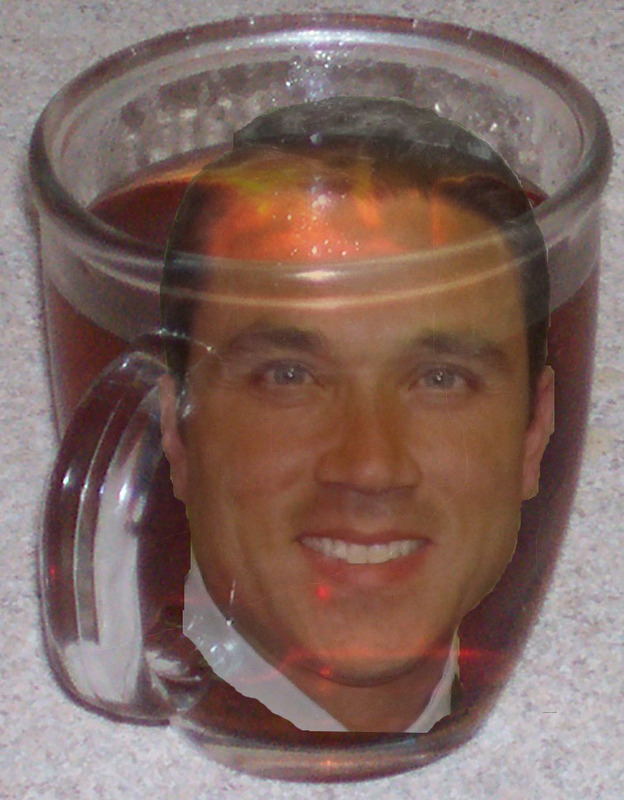 The fissure between Paul, and Grimm, a lower profile Tea Party candidate, reveals a greater ambiguity in the attitudes of Tea Party-elected candidates towards foreign policy, and in particular, Israel. 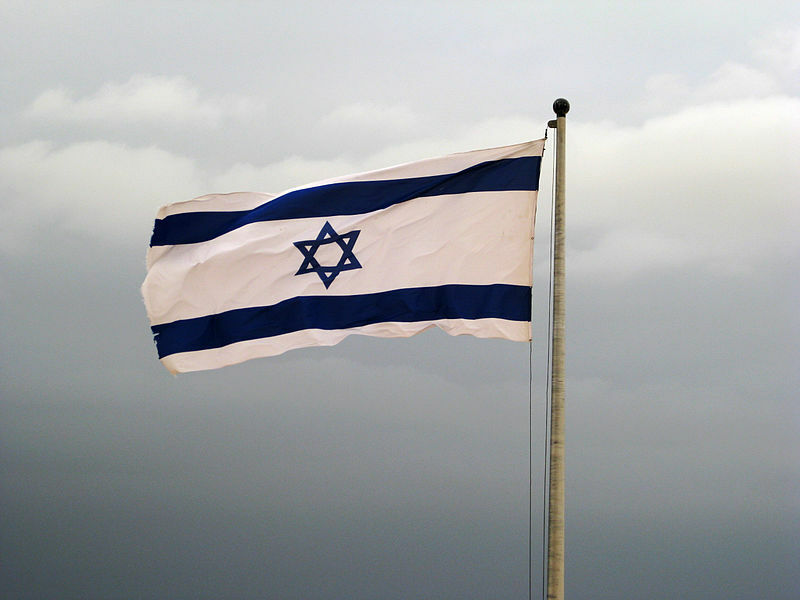 Republicans and Democrats alike have rallied against the cuts in aid to Israel. And Grimm isn’t the only Tea Party-pol opposing the cuts. Senator Marco Rubio of Florida told a political blog in Florida that military aid was vital to our partnership with Israel. Despite the difference in their tone towards Israel, Grimm, Rubio and Paul face a similar brutal reality—fulfilling promises of deficit reduction and confronting fundamental, but complex questions like Israel. The New York Times called the Tea Party-backed members of Congress “something of a mystery.” Even Rep. Michele Bachmann of Minnesota, who delivered the Tea Party’s rebuttal to President Obama’s State of the Union address, remains inconsistent when diverging paths cross. She said the United States would be cursed if it did not support Israel, but agreed with a radio talk show host who suggested cutting foreign aid. Certainly, resistance to foreign aid exists in the American public as pointed out by a spokesman for Paul, even though it only comprises one percent of the federal budget. A recent Gallup poll found that 59 percent of Americans favored cutting the amount the government spends in foreign aid. But more specifically, a 2002 Gallup poll found that 37 percent of respondents wanted the amount of aid to Israel kept the same, while 26 percent wanted it decreased. If the Tea Party’s stance on aid to Israel isn’t clear, one thing is. Pro-Israel groups expect at least some modicum of support from the Tea Part, despite any lingering reservations. While Paul clashed with AIPAC over the very issue of foreign aid, Grimm has retained much stronger support from the Jewish community in his district and pro-Israel groups. Correction: The article previously misidentified the position of Rep. Eric Cantor. He is the House Majority Leader, not the majority whip. Gary Ackerman: your newest celebrity congressman! In a statement released last week, after Mubarak’s official resignation, Ackerman congratulated the Egyptian people. As I mentioned last week, Ackerman has taken on the Egyptian revolution as his own personal cause, challenging the president and the conventional wisdom of many pro-Israel politicians. “If I was advising the U.S. president it would be to very, very assertively claim that he is on the side of the people,” Ackerman said in the Ratigan interview. Given his background as the former chairman and current ranking member of the Subcommittee on the Middle East and South Asia, he’s been a “go-to” politician on Egypt in the press, even more so than current Chairman Steve Chabot. But while his stance may be admirable, it might not jive with the rest of his years in congress. In statements made after a 2008 meeting with Mubarak, Ackerman called the former president “gracious” and “forthright.” At the time, the Bush Administration looked at Mubarak as a key ally in their War on Terror, and Ackerman commented on “Egypt’s leadership that it has traditionally exhibited within the region.” Additionally, in his time as subcommittee chairman, Ackerman didn’t sponsor any legislation targeted toward Egypt or Egyptian foreign policy, nor was he particularly vocal about Hosni Mubarak before the revolution began. Of course, this is true of most — if not all — American politicians. Mubarak was considered an important ally of the United States, and at a time when we seem to have few in the Muslim world, this was seen as an overall good thing. But seeing as Ackerman has been most vocal about his role against Mubarak’s regime, it’s interesting that his background doesn’t seem to reflect his current rhetoric. There’s a thick silence in the room. Apart from the click of timers, the plunk of pieces moving and soft pretzel chewing, there is nothing but the quiet that comes with complete concentration. And that’s an odd sound for kids ages 11 to 14, but it’s 3:00 pm at Intermediate School 318 Eugenio Maria de Hostos School in South Williamsburg, Brooklyn and the National Champion chess team is practicing. The team practices five days a week for an hour and a half and compete against other NYC schools most Saturdays. The team is the subject of a new documentary, “Chess Movie,” that has been submitted to the TriBeCa Film Festival, and has been written up in the NY Times. Still, Principal Fred Rubino says that in the 12 years the team has been winning, Nydia Velazquez, the US Congresswoman representing the school’s district, has never seen them play. “I don’t know why, but she hasn’t seen us,” Rubino says. Upstairs, in a corner of one of the two rooms that the 80 student-strong club practices in, Chess coach Elizabeth Vicary is reviewing a game recorded in a notebook move by move, surrounded by students. Humzha Alboorati age 11 takes the advice and his notebook, as well as a second bag of pretzels on the sly and begins another round with Tommy Zhang, his opponent for the afternoon. Students are paired according to their rank outlined by the US Chess Federation. “Chess has taught me about everything,” says Humzh, as he takes Tommy’s rook. Unfortunately, he continues talking during the game, goading Tommy as he goes and in a final power move, Tommy traps Humzh’s king, “When you were talking all that trash, you didn’t see me,” he says grinning. 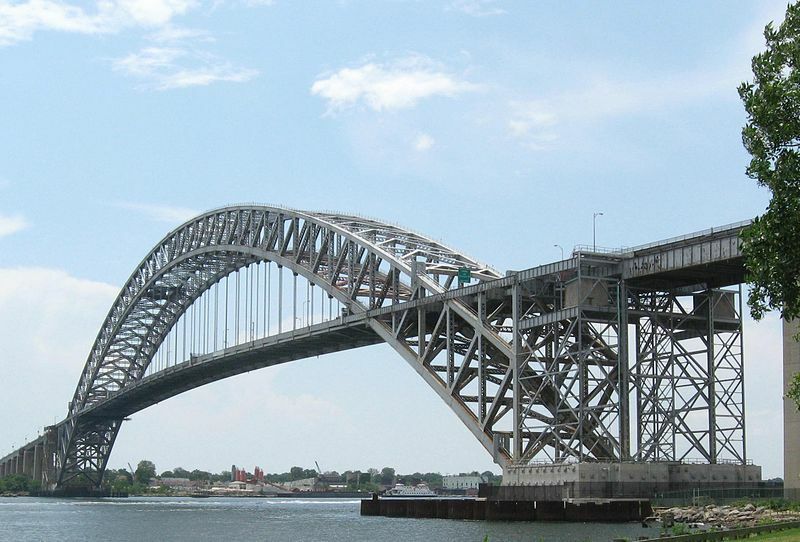 A Bayonne Bridge to Nowhere? Freshman Congressman Michael Grimm clinched the seat representing Staten Island and part of Brooklyn on the same anti-big government wave that put the gavel in the hands of John Bohener. He trumpeted the perils of government debt and equated spending on local projects with breaking the law. “This ‘pork barrel spending’ coming out of Congress is tantamount to criminal acts and must be stopped,” he declared on his campaign’s web-site. As Grimm noted, U.S. Census Data in December 2010 indicated that Staten Islanders face the longest commute time in the nation, so any effort to alleviate the average commute time of an hour and a half will likely receive a warm reception from his constituents. But the project pits the Tea Party-backed representative against the mantra of fiscal restraint and offers a glimpse at how the congressman may balance the demands of the party and the people. Even as Grimm skirts the party line and risks irking his friends, he keeps his enemies closer. While labor unions will likely never man the phone banks for Grimm, the jobs generated by potential infrastructure projects may weaken the union support for future Democratic opponents. On the night of Grimm’s debate with his predecessor at Wagner College, one union leader told me that they supported McMahon because of the number of jobs he generated. Grimm can pacify union leaders by creating jobs, but he can simultaneously create a voting base of rank-and-file union workers by doing so. John Gulino, chairman of Democratic Committee of Richmond County estimated that 70,000 households on Staten Island have at least one member in a union. If Grimm is perceived to help those households avoid foreclosure, he may safely call Staten Island his home for multiple terms. That may be enough to help Grimm deflect the wrath of the Republican establishment. Meanwhile, Grimm has backed his words with action. He met with the executive director of the Port Authority last Monday in what the Staten Island Advance described as a testy exchange. The week before, he met with Rep. John Mica (R-Fla.), chairman of the House Transportation and Infrastructure Committee according to the Advance. So Grimm may avoid the party penitentiary after all, as long as he doesn’t become arrested by the agenda. In 1981, after hiding underground for five years, Oscar López-Rivera, a Puerto Rican born activist and independence leader was caught by the FBI and sentenced to 55-years for seditious conspiracy. López-Rivera was one of thousands of Puerto Ricans fighting for the freedom of his homeland, in an ongoing fight spanning centuries. Elsewhere in the continental US that year, another Puerto Rican born, independence-activist and leader fought for the Island in a classroom. Nydia Velázquez, taught Puerto Rican Studies to undergraduates at the City University of New York’s Hunter College, in what would later be the department of Africana and Puerto Rico/Latino Studies. A few years later, Velázquez would work her way into more mainstream politics, leaving the goals of national Puerto Rican independence aside. Yet, she didn’t forget her beginnings. 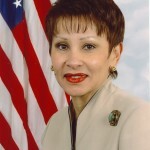 In early January of this year, Velázquez and three other members of Congress of Puerto Rican descent sent a letter to the Parole Commission calling for Lopez to be freed on parole. will surpass Puerto Ricans and become the largest sector of the City’s Latino population in 2020,” found a study by the Latino Data Project based out of CUNY’s Center for Latin American, Caribbean and Latino Studies program. Also, in 2008, the National Institute For Latino Policy polled 1,000 Latino leaders across the US regarding the most important issues facing their communities. Regarding Puerto Rico’s Independence, NILP found that only 31% supported full independence, 54% supported some form of US statehood (be it a proper US state, commonwealth status or associated republic), and the remaining 15% either wasn’t sure or didn’t care. Still, there is more than statistics to encourage the Congresswoman to broaden her cultural identity from Puerto Rican to Latino. The philosophy of the Department of Africana and Puerto Rican/Latino Studies, where the Congresswoman taught in 1981, says on its website that the curriculum is inspired by the work of Eugenio María de Hostos and Pedro Albizu Campos. Both were Puerto Rican leaders who believed in national independence, but that’s where the similarities stop. 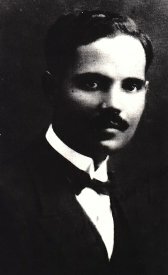 Albizu Campos (1893 – 1965) was dark-skinned, from meager beginnings and yet went to Harvard for law school. He returned to PR, and worked as a labor lawyer and national independence leader. 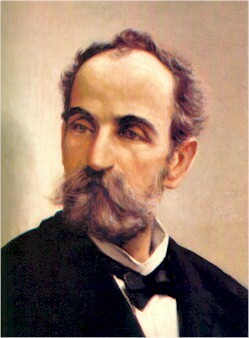 On the other hand, Hostos (1839 – 1903) was born into a light-skinned affluent family and attended law school in Spain. 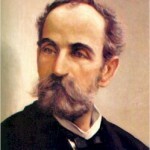 He viewed Puerto Rico’s independence differently Albizu, favoring a larger alliance or “Antillean Confederation” between Puerto Rico, the Dominican Republic, and Cuba. In the late 1930s, Albizu was imprisoned for 10 years for leading nationalists revolts, and then again in the 1950s. He died in prison in 1964, which the Clinton Administration later exposed was due to “experimenting” with radiation treatment. Hostos died in the Dominican Republic of natural causes. 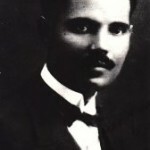 Oscar López-Rivera founded a high school in Chicago, now called Dr. Pedro Albizu Campos High School. In Williamsburg, Brooklyn, there is I.S. 318 Eugenio Maria de Hostos, which is in Congresswoman Velázquez’s 12th district. Ackerman to Mubarak: Get Out, Now. Gary Ackerman released a statement this week in support of the Egyptian people, stating that Hosni Mubarak should transfer power to a transitional government immediately. According to Ackerman, that includes the halting of aid money being sent to the country. Strong words from the Congressman—stronger, even, than the initial response from President Obama himself, who has been hesitant to directly call for Mubarak’s departure from office. Ackerman, the former chairman of the subcommittee on the Middle East and South Asia, also made his way to the Parker/Spitzer blog (which is a thing that exists) in order to reinforce that opinion. On the surface, this seems like an interesting break for Ackerman with the Israeli government. Ackerman has been a supporter of Israel in the House for some time, and according to a Feb. 1st New York Times op-ed by Yossi Klein Halevi, many in Israel have trepidations, believing that the only outcome of collapse of the Mubarak regime is the rise to power of the Muslim Brotherhood. Ackerman’s stance on Egypt, as well as that of a number of neoconservatives, seems to indicate a sort of cognitive dissonance between American politicians and the Israeli government.